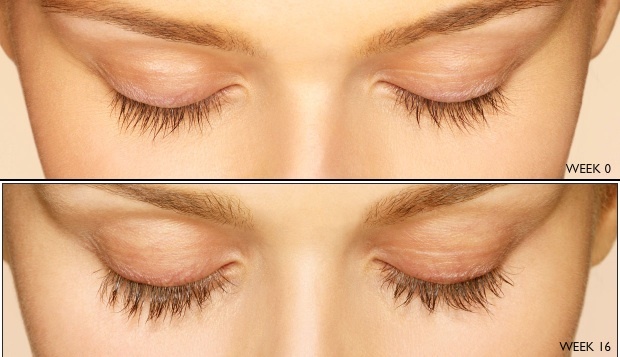 An eyelash solution intended as a prescription treatment for people who don’t have enough eyelashes could spell the end of mascara, reported The Daily Mail. If you could say goodbye to messy mascara application and wake up with fuss free long thick and dark eyelashes would you? Well this could all be possible if eyelash lengthening drug Lattisse receives its European drug license. The drug which was initially intended for people suffering from eye issues such as glaucoma has been found to increase length, thickness and darkness of lashes. It is now being used as treatment for people suffering from hypotrichosis, which is the medical terminology for not having enough eyelashes, as well as being used by chemotherapy patients. Already having gained a drug a drug license The United States, it is also already being used by women as a cosmetic treatment. Women who participate in the U.K trial will be given the £100 treatment for a six month period. The liquid drug is to be applied daily in a similar way to a mascara and can also be worn under your usual make up whilst waiting for their lashes to thicken. Should Lattisse successfully achieve its European drug license we can all say a fond farewell to expensive and inconvenient eyelash extensions, false eyelashes and lashings of mascara, we live in hope!